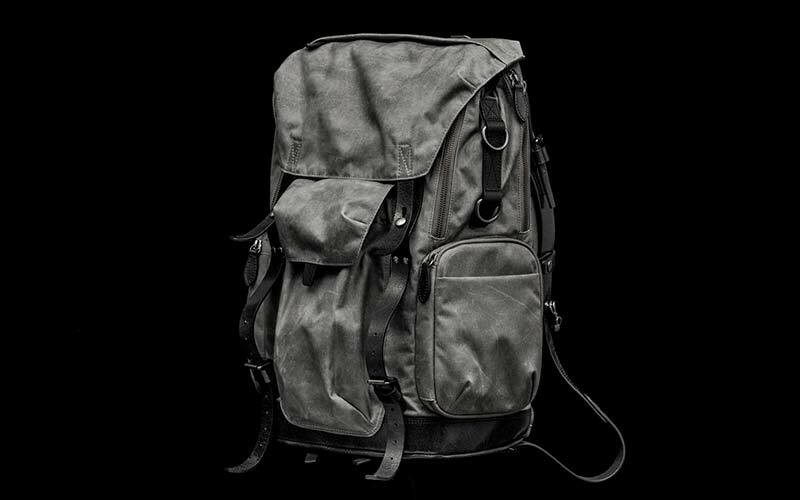 In 2014, WOTANCRAFT developed what we nicknamed the “FOG CAMO”, a 500 Denier Cordura © fabric made of heat resistant / ultra-strength Nylon 6,6 yarn, with waxed treatment and underside water-repellant PU coating. The fabric is printed with random fog-like camouflage patterns, based on WOTANCRAFT’s original design. Unlike most Cordura © bags, FOG CAMO bag owners can enjoy the process of "bag aging". To arrive at these comprehensive qualities, WOTANCRAFT FOG CAMO canvas costs 5 times more than regular Cordura ©. It is our signature material true to the essence of WOTANCRAFT: tough, utilitarian, with a heavy vintage sensation.